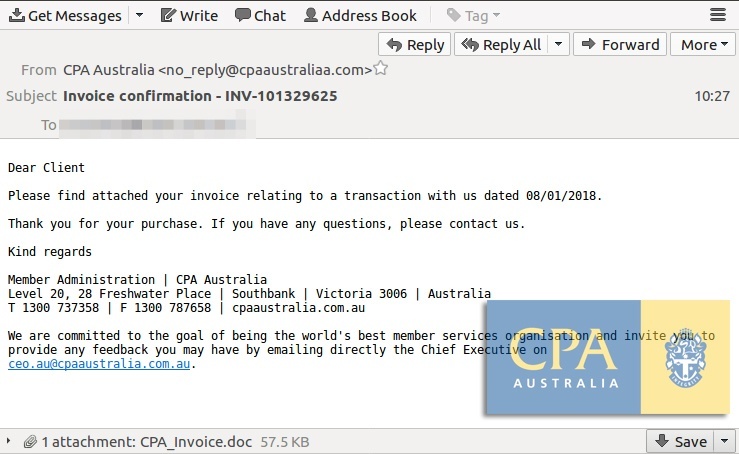 MailGuard has intercepted a new email scam pretending to originate from CPA Australia. 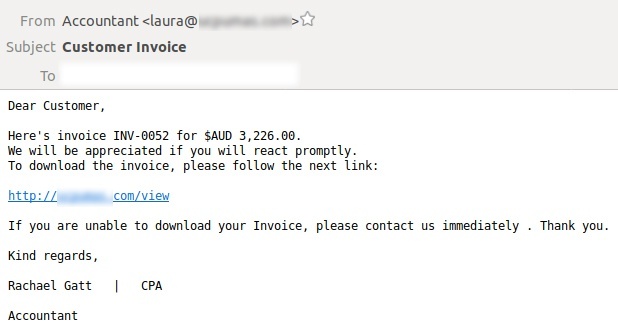 The message instructs recipients to open an attached ‘invoice’; an attachment in Word .doc format. Scammers deliver malware via macros hidden in the structure of .doc files like this.